Black was the color of the night for the Bollywood men at Star Screen Awards. 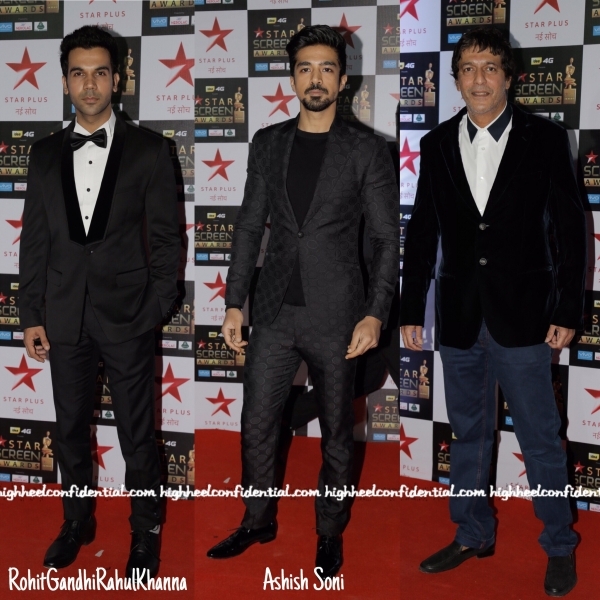 Rajkummar rao (In Rohit Gandhi Rahul Khanna) & Saqib Saleem (In Ashish Soni), were the looks we liked the most. Chunkey Pandey was the one we liked the least. Tell us, which ones were your favorite? 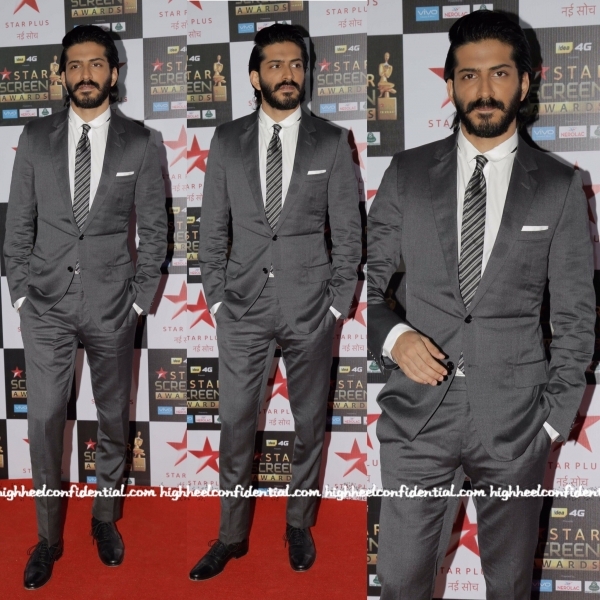 Harshvardhan Kapoor picked a Dior Homme suit for the Star Screen Awards. A safe look for sure, but one that looked good on him. 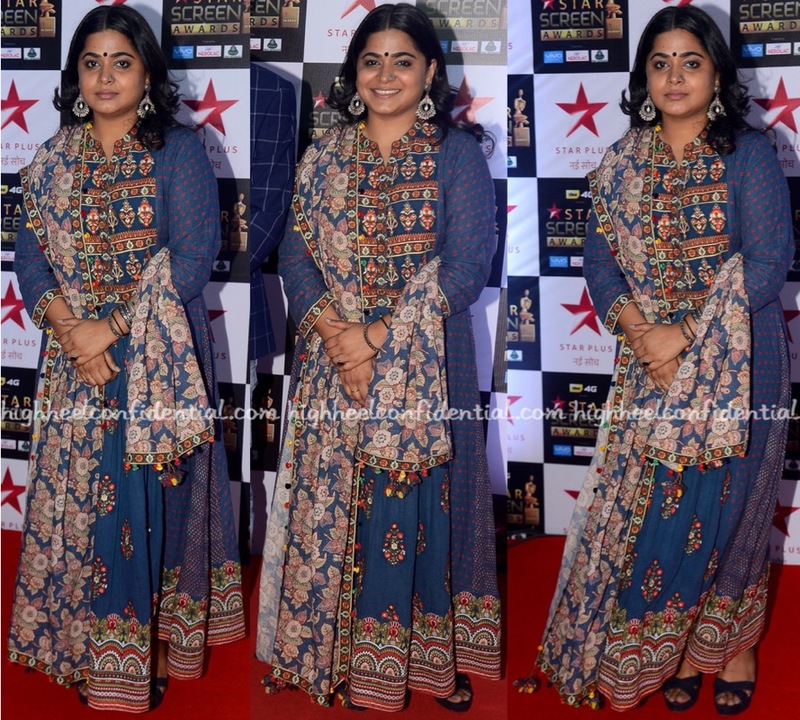 At the Screen Awards, Manisha was photographed wearing Amy Billimoria. With her hair in an updo, she rounded out the look with jewelry from Anmol. Lovely as Ms. Koirala looked neck-up, it was hard to rally behind the outfit itself… Wasn’t a fan of it. She’s done better in the past. At a recent awards event, Ashwiny was photographed in a Vrisa suit. Bindi in place, the filmmaker rounded out her look with silver jewelry and black sandals.